30 minutes presentation of the code and armament of a knight of the 13th century. Schedules vary according to the periods. Guided tours of 45 minutes every day. Discovery of the City, its defensive system and the link between individual military equipment and the architecture of the place. Variable hours according to availability of the guide. 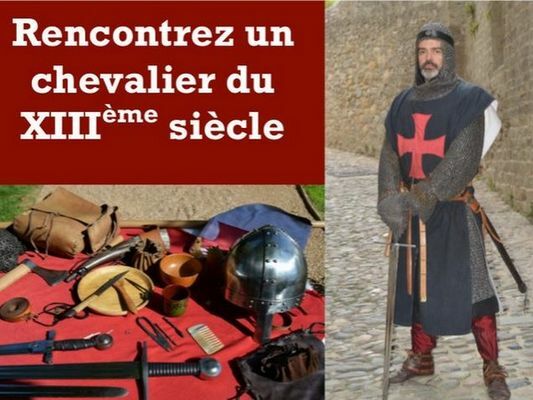 There is no review about Centre D’Histoire Vivante Médiévale, Rencontre Avec Un Chevalier Du Xiiie Siecle, be the first to leave one !